We can help you keep the kitchen in your home, rented flat and restaurant clean and tidy by sanitising it regularly. Our cleaners are supplied with high-quality detergents, cleaning solutions and equipment which ensure effective and thorough removal of dirt and stains. Your kitchen appliances will be ready to be used right after we clean them. 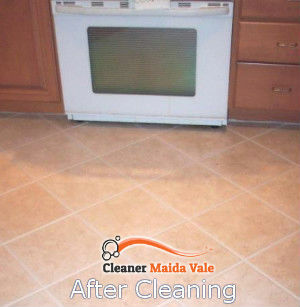 Use our services to receive professional kitchen cleaning in your restaurant, rented or commercial property or home, located in Maida Vale and you will have healthy cooking area. 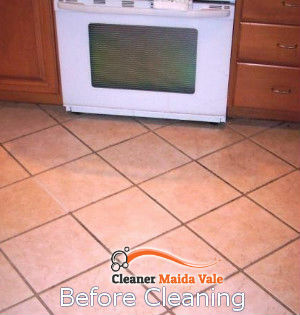 Our cleaners are well motivated, trained and polite. You can count on our cleaners to sanitise your kitchen after a big celebration, party or on a regular basis to maintain the necessary hygiene in it. They will inspect it and prepare a quote for approval and do the requested work whenever it is most convenient to each customer. They soak some of the components of the cookers and hobs to dissolve the burnt-on carbon and grime. All sinks, counters, shelves, floors and internal windows will be sanitised too. Take advantage of our reliable kitchen cleaning services that we carry out in the W9 region to keep the cooking area in your home, restaurant or rented flat impeccable. Our staff provide excellent cleaning of the internal and external surfaces of the cabinets, cupboard, drawers, fridges, freezers, ovens and other kitchen appliances. Schedule a free inspection of your kitchen and you will receive a no-obligation quotation. If you need deep kitchen cleaning in your restaurant or home, located in or near Maida Vale, call us and our staff will implement it.